I’m so excited to share these gorgeous photos from Sarah and Jonathan’s Hamptons engagement! I joined this fun couple at Sarah’s great-grandfather’s home in Southampton for an afternoon of love, laughter, and their adorable pup, Charlie! I adored Sarah and Jonathan’s sweet pup, Charlie! It was so fun to include him in their Hamptons engagement photoshoot. Sarah explained, “Our neighbors actually call the beach “Charlie’s Point” because he loves to go there with us!” Posing Sarah and Jonathan together with Charlie made for some incredibly cute photos. Charlie’s sign was absolutely perfect! I was thrilled to spend the day in gorgeous Southampton capturing the love and excitement between Sarah and Jonathan! Sarah’s great-grandfather purchased land in Southampton back in the 1940s and her father spent his summers growing up there. Sarah’s father bought a house of his own down the road, and Sarah was lucky to spend her own childhood summers in the Hamptons! As Sarah describes, “it’s my favorite place in the world to be! Since Jonathan and I have been together, it’s become one of his favorite places, too! My parents’ house is on a pond and there are spits of beach that open up to the bay. We like to kayak and paddle board over to the beach for the day and joke that it’s our “private beach” because not many people kayak over. Last August, just a few days after my 30th birthday, we were at the beach together. Jonathan turned to me and asked me to marry him! It was perfect, but I still can’t believe he kayaked over with the ring! I returned to the beach where Jonathan proposed for beautiful beach engagement photos of Sarah and Jonathan. They even broke out a bottle of their favorite wine to enjoy while their dog, Charlie, romped around the dunes! After capturing the fun and joy between Sarah and Jonathan in their Hamptons beach engagement photos, we traveled to an inlet for the sunset. The sky was painted in perfect blue, pink, and purple pastels. Sarah’s stunning red dress popped beautifully against the sunset background. 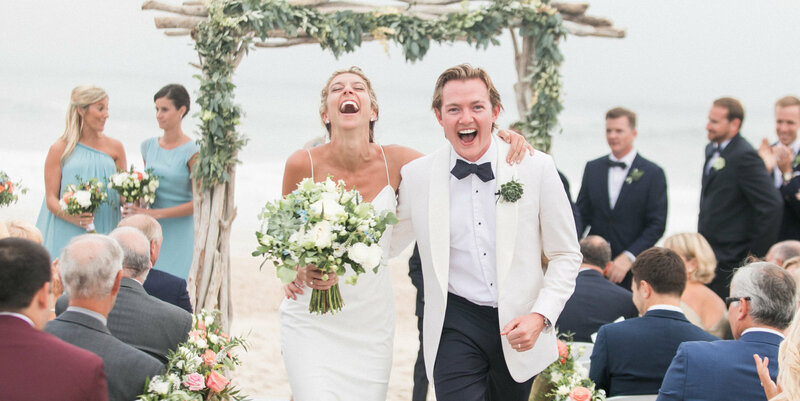 The joy between Sarah and Jonathan was contagious! The two shared a sweet moment, their love outshining even the summer sun. I can’t wait to photograph Sarah and Jonathan’s Hamptons wedding this September! This adorable couple is getting married on the lawn of Sarah’s grandparents’ house in Southampton! 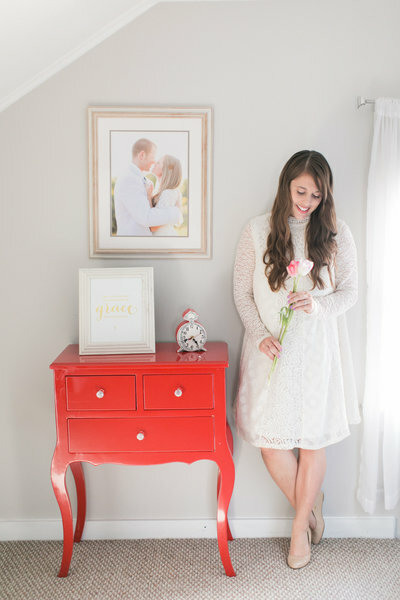 I’m especially excited to see the gorgeous flowers because Sarah works in floral design! Sarah and Jonathan, thank you so much for choosing me to be your Hamptons engagement photographer! I’m counting down the days until I return to beautiful Southampton for your wedding! 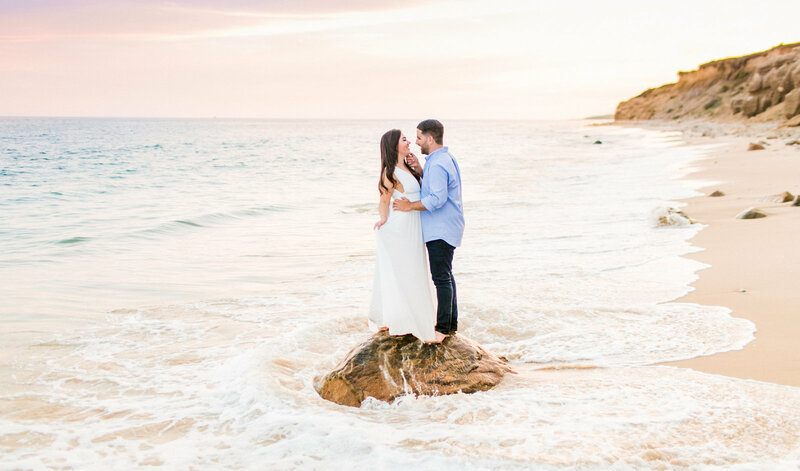 Want to see more pretty images like Sarah and Jonathan’s Hamptons engagement photos? Check out Minoli + Joe’s gorgeous Central Park engagement photos and follow along with Amy on instagram and facebook!